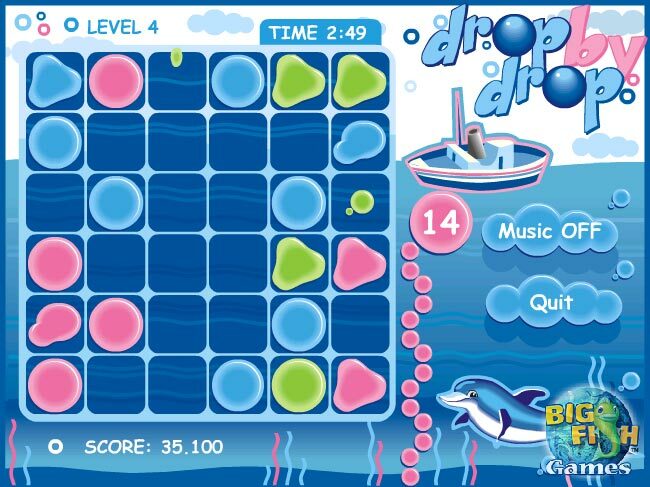 Frolic with the dolphins in this tricky underwater puzzle game. 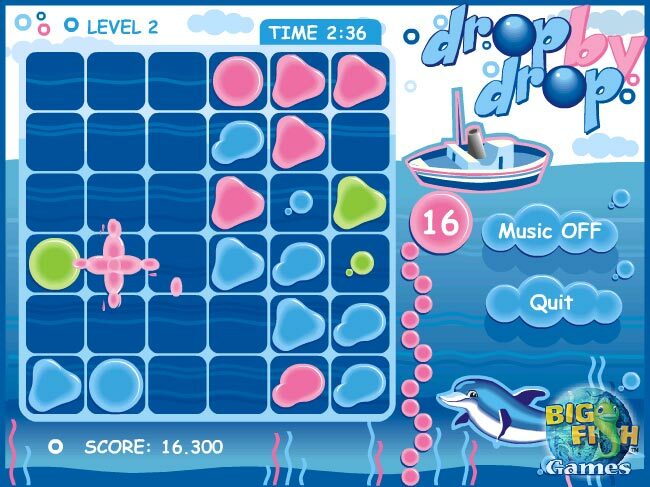 See how many points you can earn for bursting all the puddles.Pop those puzzling puddles!Frolic with the dolphins as you fill puddles with water in Drop By Drop, a tricky underwater puzzle game. Each puddle you fill bursts and sends droplets flying. 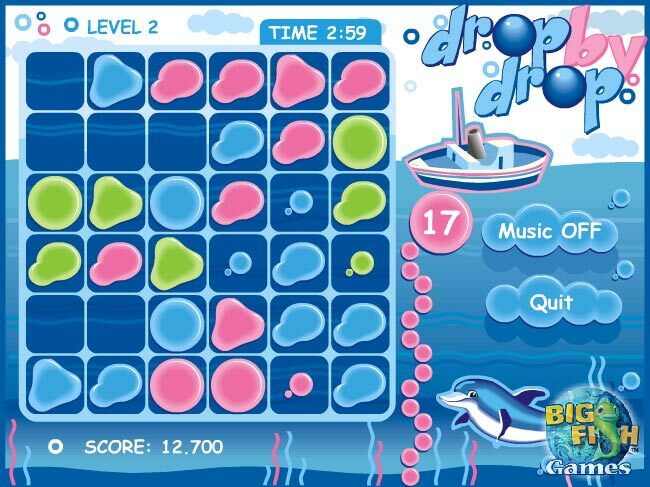 Watch as the drops ricochet into other puddles and cause more pops and more points for you. 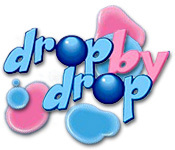 With 25 levels, each more difficult than the last, Drop By Drop is one puzzle game that isn't all wet!